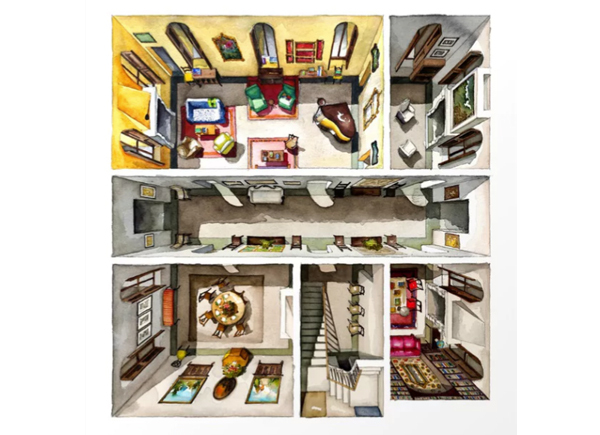 Everyone has someone in their life who’s a film fan and/or design fanatic. We know these people. We know what makes them tick. 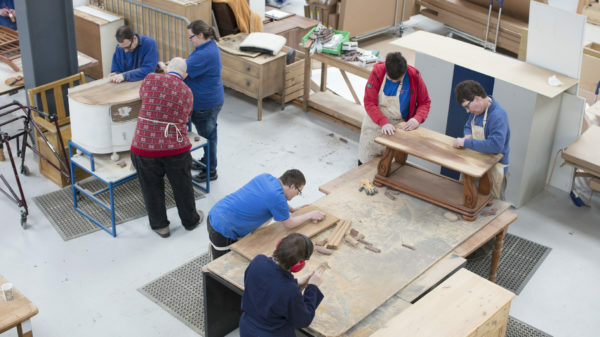 These folk can be tricky to buy gifts for so if you’re stuck for ideas, we’ve got it covered. 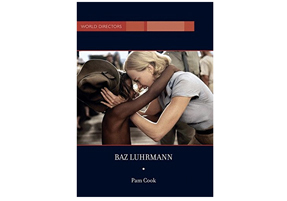 Allow us to present our carefully curated festive gift guide – 16 beautiful items that have been spotted on film sets of the big (and little) screen from as little as £14 up to £1,600. 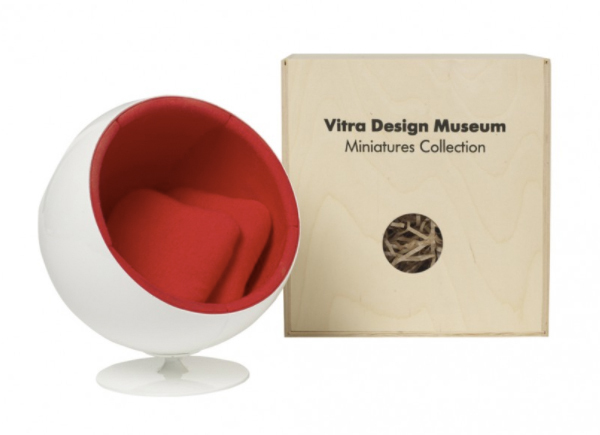 From contemporary design classics to rare vintage finds. Or indeed if the description fits you, then why not put some of these delights on your own Christmas list. 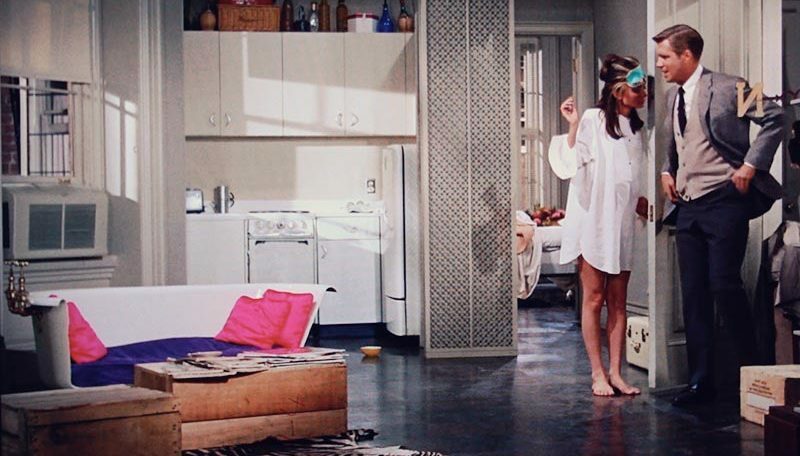 There’s a general rule of thumb: If it’s good enough for Mad Men’s Joan, then it’s good enough for us. 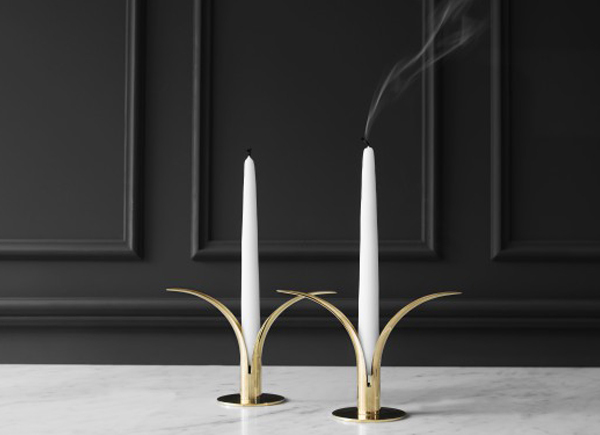 Her beautiful dining table candlestick called “Lily” was designed by Ivar Ålenius Björk (1905-1978) and is part of series of brass candlesticks for a Swedish manufacturer called Ystad-Metall that closed down in 1969, but never fear because we’ve found some vintage Bjork candlesticks for you. 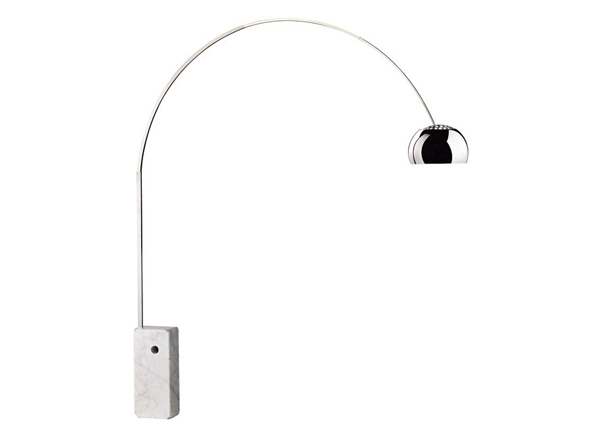 This iconic design was on display at the 1939 New York World’s Fair and has become a modern classic that has been featured in many international design magazines. 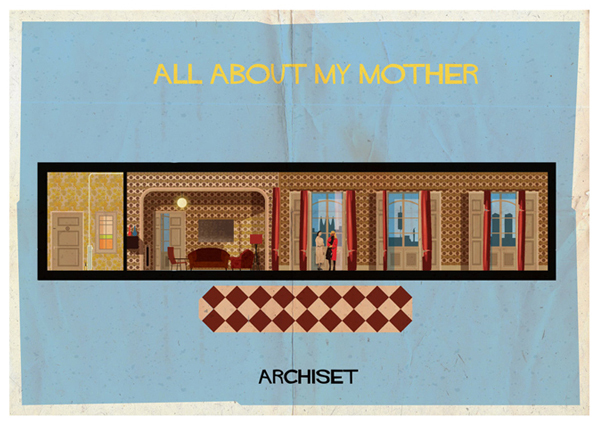 Architect and graphic designer Federico Babina is as obsessed with production design, interiors and furniture as we are and has created a delightful ‘Archiset’ poster series which interpret seventeen of the most memorable film sets. The series is available as art prints, framed art prints and canvas prints. 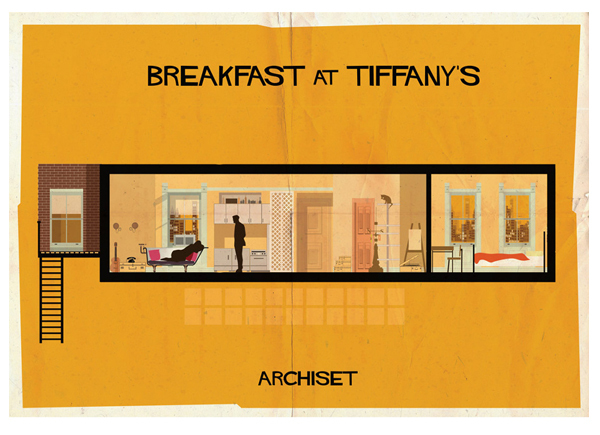 One of our top picks depicts the film sets of Breakfast at Tiffany’s. 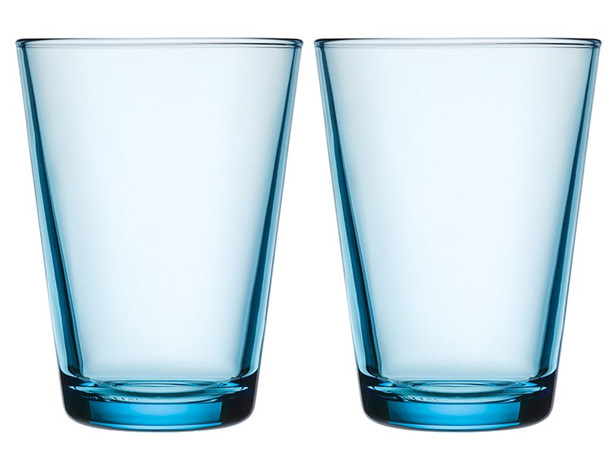 The Kartio tumblers as seen in the Netflix series Maniac come in a fun array of colours. The Finnish designer Kaj Franck who is called “the conscience of Finnish design” found the perfect balance between material and geometric shape as seen in these glasses. 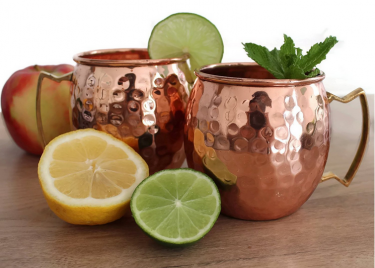 The copper and brass trend in the home is experiencing a long and worthy tenure and it extends to bars and restaurants too, especially copper mugs. 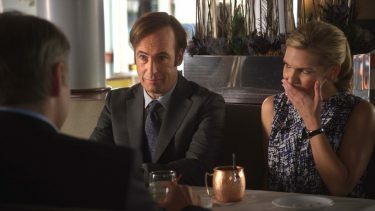 In Season 2 (episode ‘Bali H’ai’) of Better Call Saul, Jimmy McGill and Kim Wexler drink Moscow Mules served in hammered copper mugs which are perfect for the vodka, ginger beer and lime combo – the copper tends to bring out the flavours. The copper and lime colours also look fabulous together. 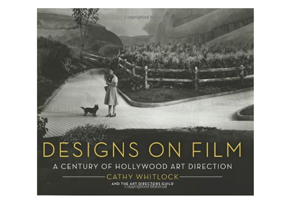 With hundreds of rare photographs, set sketches and original renderings showcasing films of every era and genre, author Cathy Whitlock offers movie fans a backstage pass to 100 years of Hollywood’s most memorable film sets. 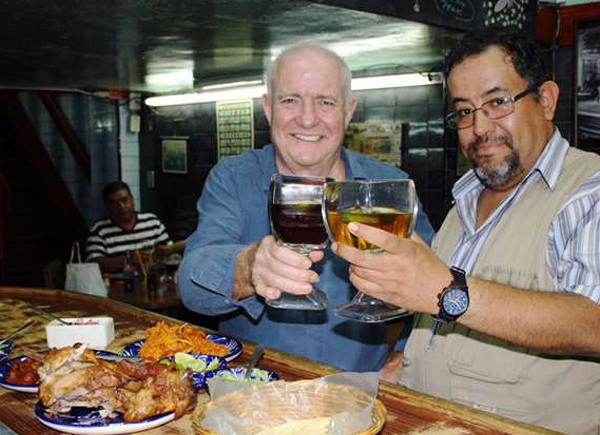 After receiving several enquiries about the large, square, traditional Mexican beer glass in BBC Two’s Rick Stein’s Road to Mexico we were sent on a mission to track them down, eventually finding a small supplier in Mexico. 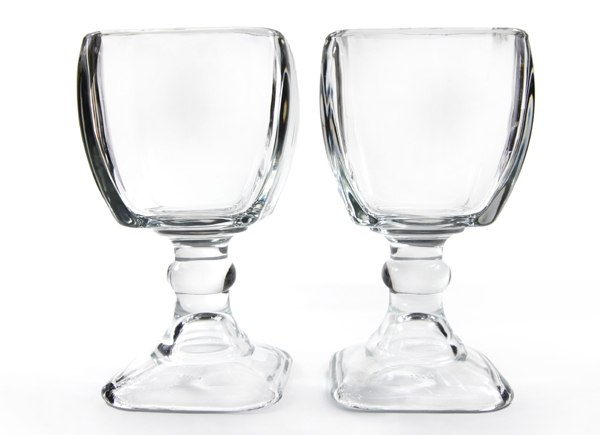 Organising for this glassware to be sent over to the UK has been a long journey in itself, but we are now proud to be (to the best of our knowledge) the ONLY PLACE IN THE UK to buy these traditional Mexican glasses. This is barware to be proud of and these glasses a conversation point in their own right – even more so now that they have played a starring role in this celebrity chef’s televised adventures. 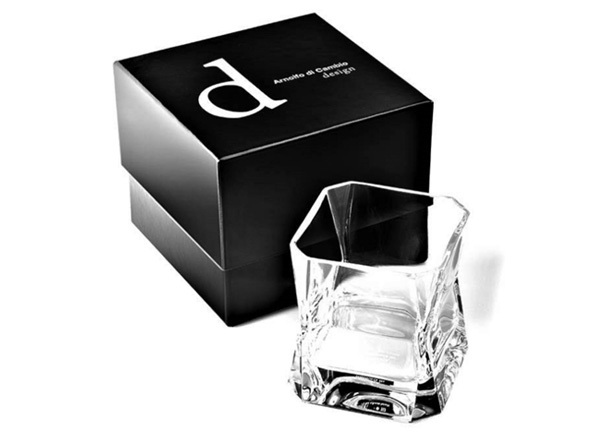 With super thick (square with rounded corners) glass they are designed to keep the liquid contents cold. You can even put them in the freezer to cool the glass in order to keep its contents colder for longer. We have a set of these beauties at F&F HQ and they chime like a church bell when you cheers them so quite apt for some Christmas cheer! 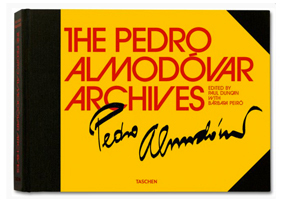 We have limited stock left, shipped direct from us at Film and Furniture. 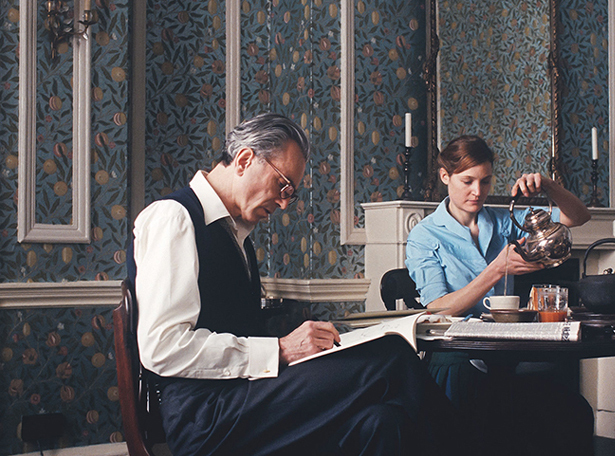 A contemporary reworking (with metallic ink effects) of this beautiful classic Morris design called ‘Fruit’ adorns Reynold Woodcock’s (Daniel Day Lewis) dining room in Phantom Thread. An all over pattern of fruit and flowers in naturalistic colours against a clear aqua blue green background. 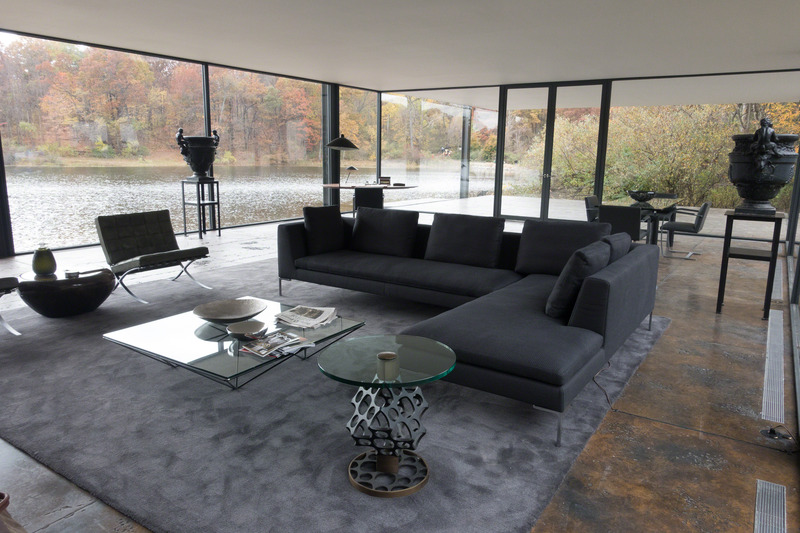 Bruce Wayne’s modernist lakeside house in Batman v Superman and Justice League features this beautiful large bowl on the dining table. A semi-transparent design with internal sculpting gives it the appearance of a double-face lunar cap. 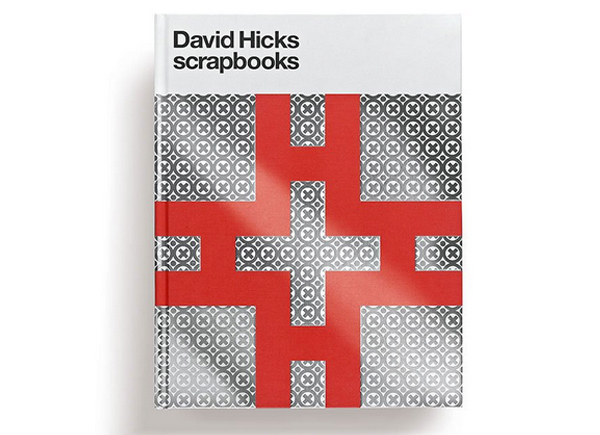 It’s textured design refracts light in unusual and striking ways. 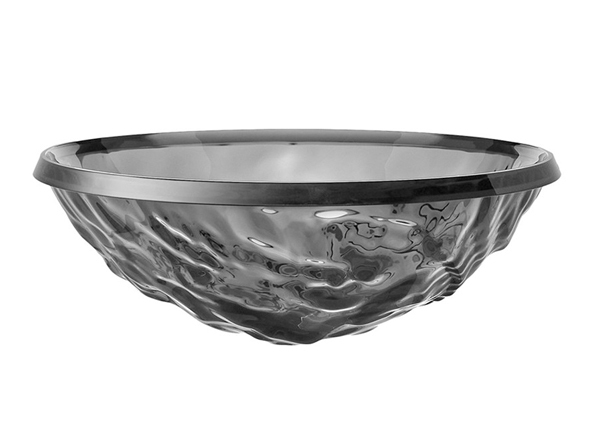 Designed by Mario Bellini, this versatile bowl is perfect for holding keys and fruit to decorative compositions. 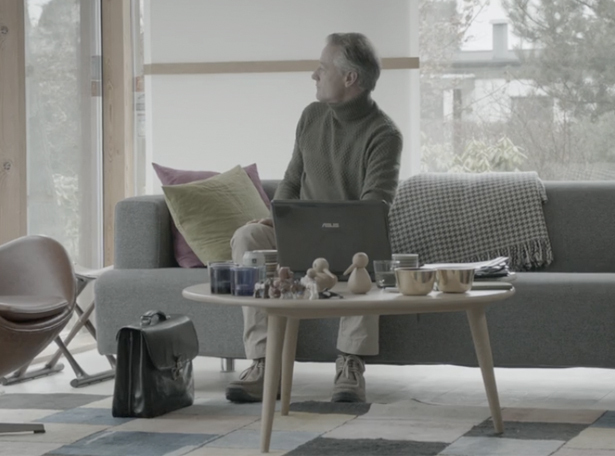 We love the wooden bird collection from Architectmade and being as this is a Danish design it’s no surprise we spotted them in Martin Rohde’s house in The Bridge. 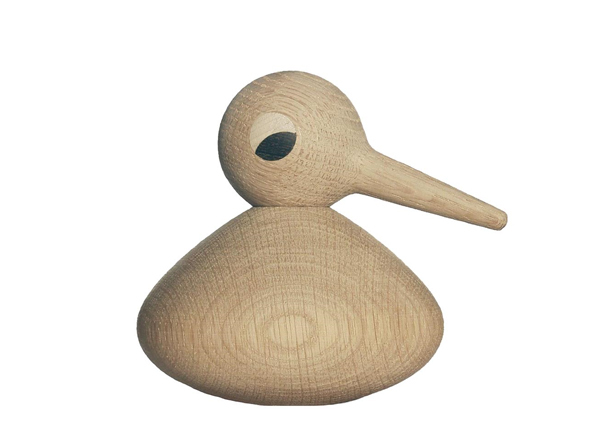 Made of high quality natural oak, you can tilt the head of the bird in any direction and to express a different mood and turn the bodies upside down to make it either a male or female bird. There’s a whole gorgeous collection available. 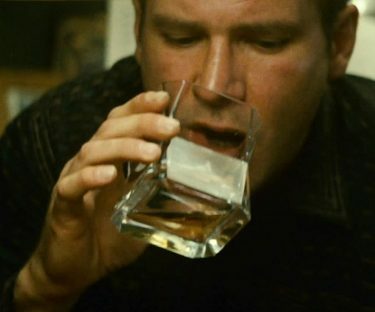 These are our favourite glasses: The exact ‘CIBI’ glass tumbler design that Deckard (Harrison Ford) is seen drinking whisky from in Blade Runner (1982). 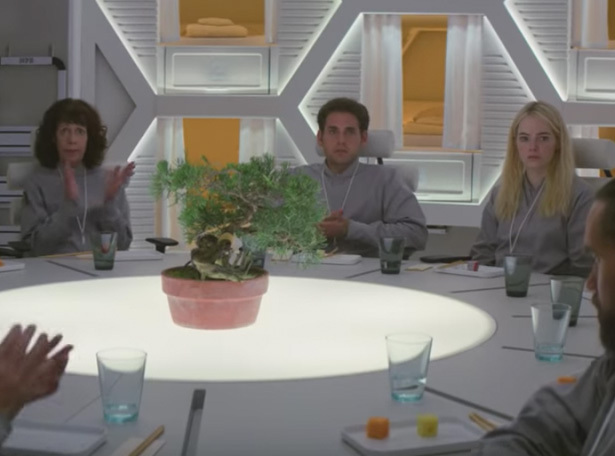 They also make an appearance in Blade Runner 2049 (2017). Made in hand blown crystal glass by the same Italian company since 1974, these heavyweight stunning glasses command respect. 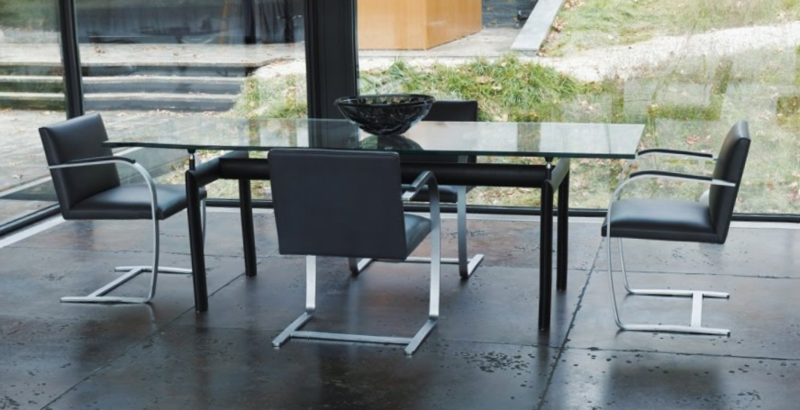 Tried and (frequently) tested by Film and Furniture. Pure class in glass form. 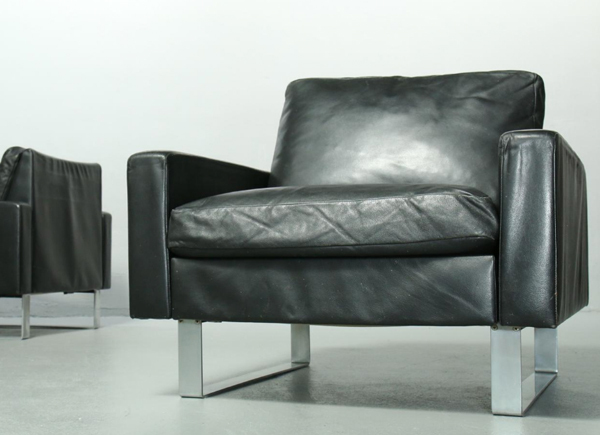 This vintage back leather and steel Conseta lounge chair was designed by Friedrich W. Möller in 1964 and manufactured by Cor in the 1970s. 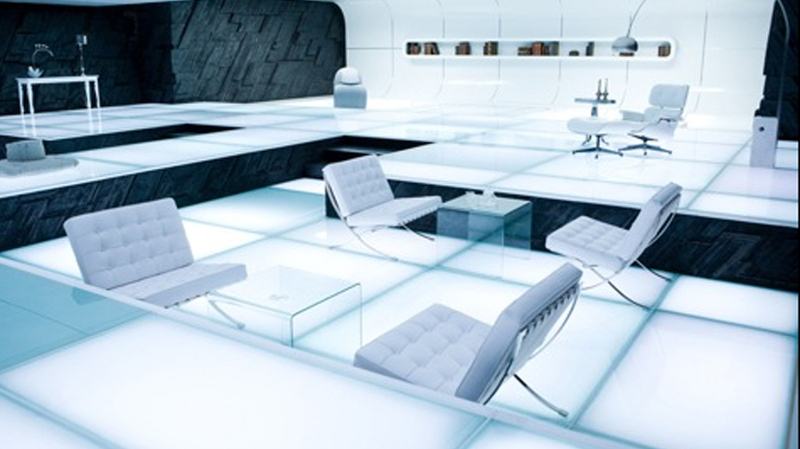 The very same lounge chair design belongs to Niander Wallace and can be seen in the Wallace Corporation building in Blade Runner 2049. 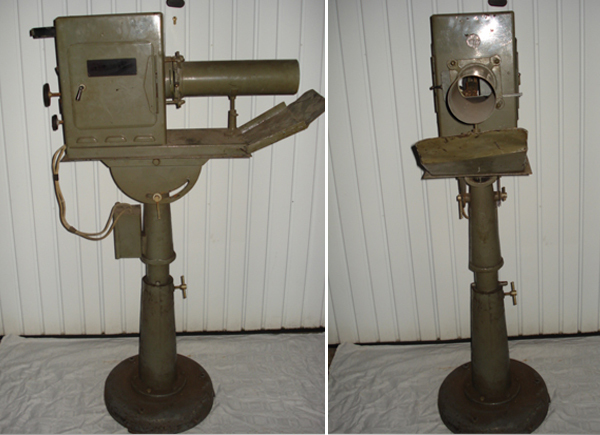 This vintage camera was salvaged from the much loved Newcastle Odeon cinema UK, as it was being demolished in 2017. This beloved cinema on Pilgrim Street opened originally as The Paramount in 1931 and closed as the Odeon in 2002. This original piece (which is very heavy) was rescued by a film fan during demolition and would make a wonderful collectible of cinema history. 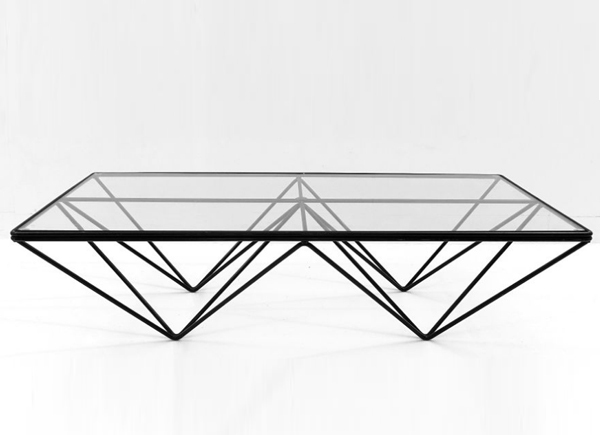 You can be as stylish as Bruce Wayne with this minimalistic Paolo Piva coffee table called ‘Alanda’. 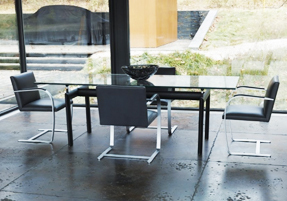 It is a stunning design with geometric steel metal frame and glass, and sits with pride in the centre of Batman’s modernist lakeside house in Batman V Superman and Justice League. 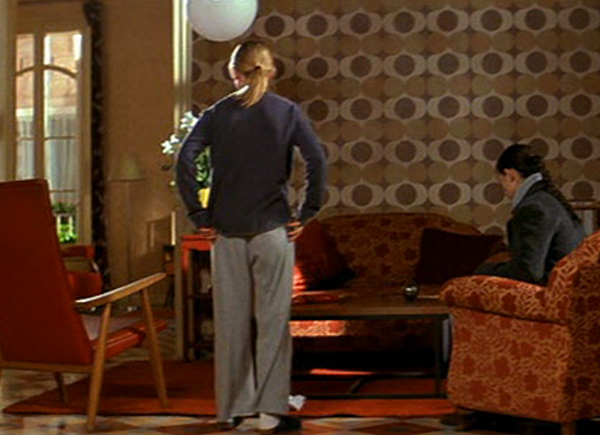 This particular B&B Italia vintage version from the 1980’s adds extra kudos. 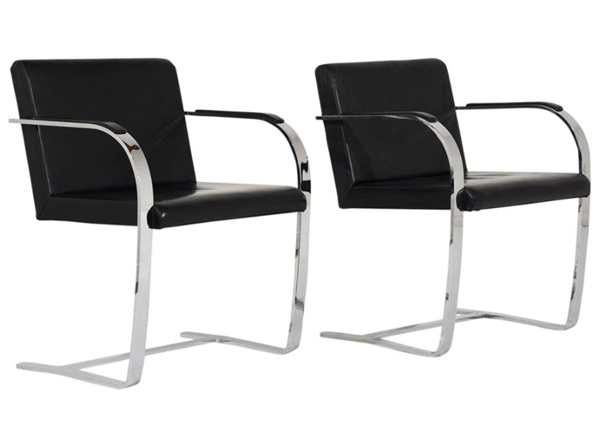 Designed by Olivier Mourgue in 1965 whilst working for French manufacturer Airborne International, the Djinn chairs embody 60s futuristic design and have gone on to firmly take their place in design history. With their wave like, low slung silhouette, they were selected by Kubrick and his team for the science fiction film 2001: A Space Odyssey – one the most influential films of all time. 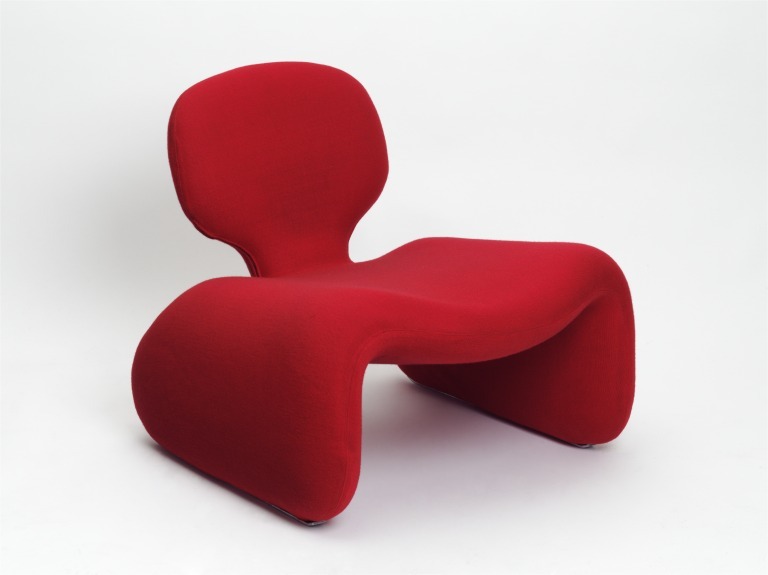 Our very own Djinn chair has just returned from being on display at the Kubrick exhibition at the Deutsches Filmmuseum, Frankfurt and is soon off the Design Museum, London. 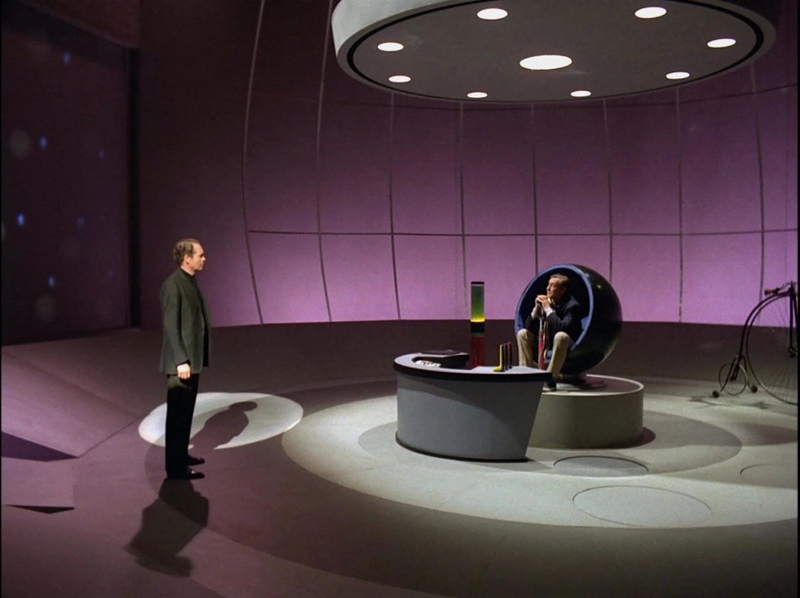 In the meantime, it’s adding some curvy space-age grooviness to F&F’s office. 16. 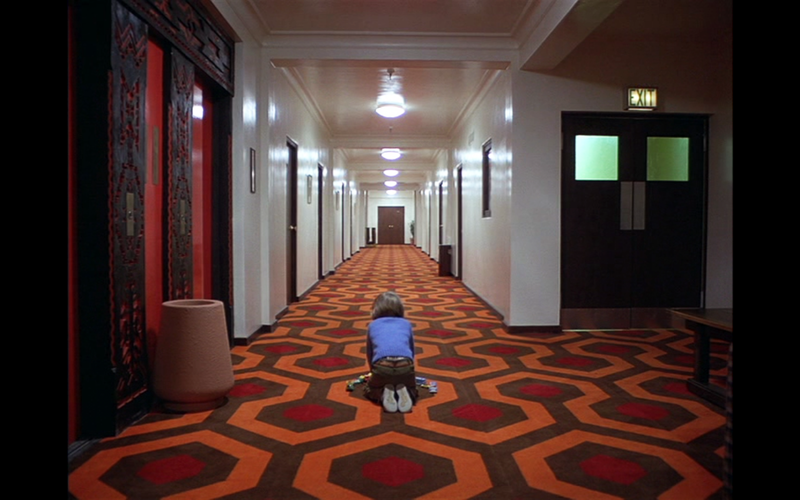 ‘The Overlook Hotel’ hallway runner as seen in The Shining. 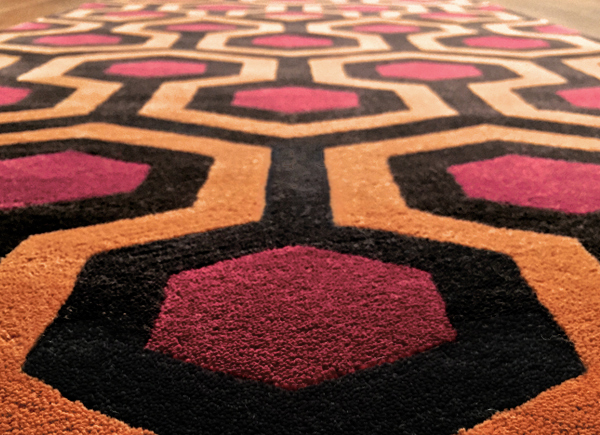 The Shining’s Overlook Hotel carpet pattern is available as an officially licensed rug through Film and Furniture. Greet your guests with a “Heeere’s Johnny!”. 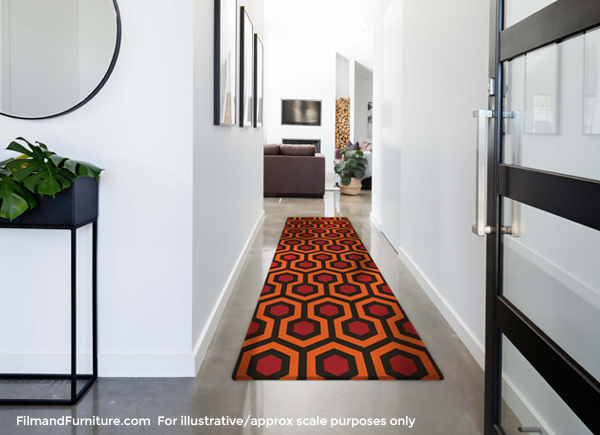 They’ll never forget this statement rug featuring the exact, original hexagonal pattern from The Overlook Hotel in The Shining. 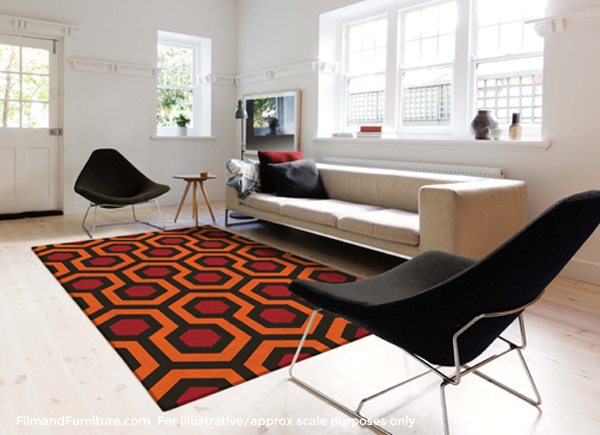 The most iconic carpet in film is available as OFFICIALLY LICENSED luxury rugs and carpet runners for your own home. 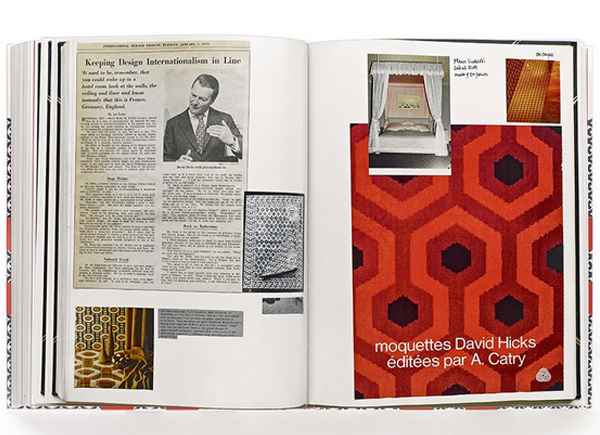 Exclusively and especially made for Film and Furniture by the UK’s sole license holder of the original 1960s Hicks’ Hexagon carpet design by legendary British interior designer David Hicks. Highly limited edition, high quality, custom made, hand tufted rug, 1 ply wool. 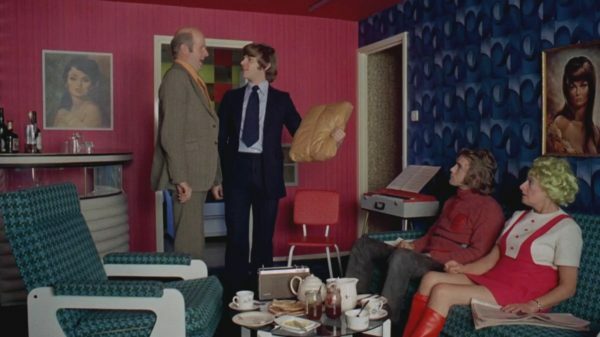 We hope we’ve made your shopping list a little more interesting and we wish you a very happy festive season, with love from Film and Furniture! 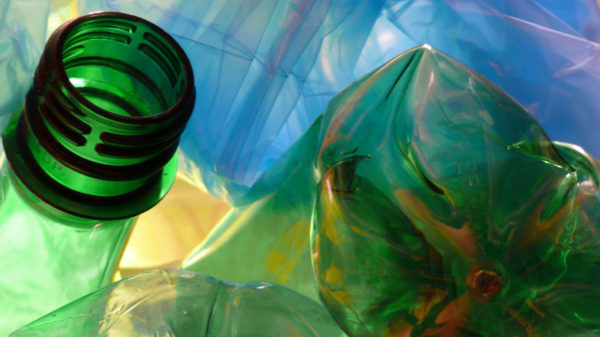 Note: All prices and £GBP to $USD price conversions quoted are correct at the time of going to press, but may vary. Please use as a guide price only.